PRC released the 12,103 Elementary teachers passers out of 44,144 examinees of Licensure Examination for Teachers (March 2015). You can view here the list of passers with surname starting in Q – R – S – T.
According to PRC, the results of examination with respect to eleven (11) examinees were withheld pending final determination of their liabilities under the rules and regulations governing licensure examination. 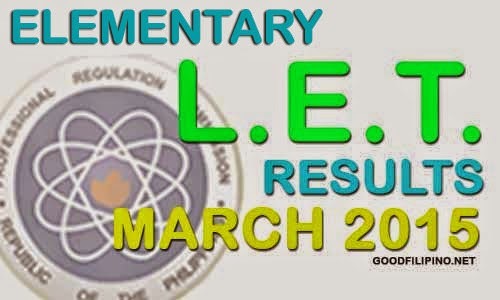 Comments or suggestions about "L.E.T Elementary Level Passers (March 2015) - Q – R – S – T" is important to us, you may share it by using the comment box below.